Day III in Brussels we woke up bright and early for a trip to my favorite place in the entire world, 3 Fonteinen's Lambik-O-droom. This beautiful brewery located in the town of Beersel creates the most exceptional gueze in all of Brussels (in my humble opinion that is). We arrived right at 10:30 AM for the Saturday morning tour which takes guests through the history of the brewery, barrel room and bottling facilities. 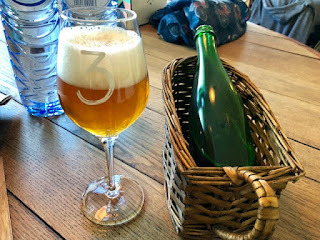 Since I had already been to Lambic-O-droom before I hung out in the tasting room while my friends explored and enjoying a solitary bottle of Oude Geuze Vintage 2012, one of my absolute favorite geuze's of all time. 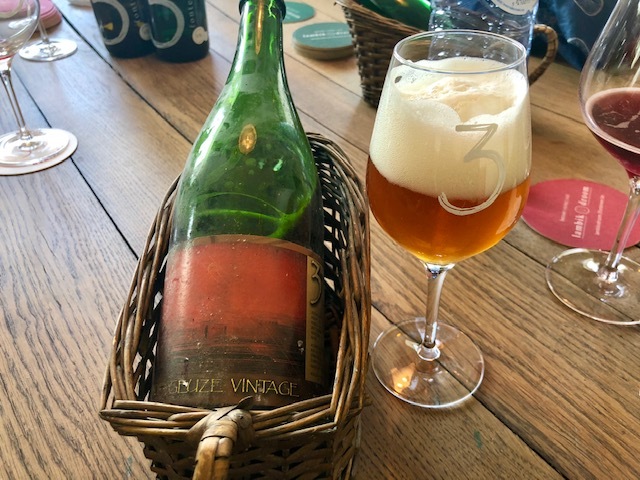 Followed by an Oude Geuze Vintage 2008 and 3 Fonteinen's incredible geuze cheese paired with mustard and apricot preserves. 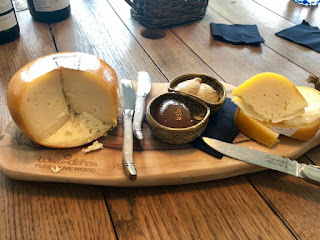 I was really hoping to bring some of this fabulous cheese back to NYC but it was completely sold out by mid-day. I guess everyone else loves this wonderful cheese just as much as me. 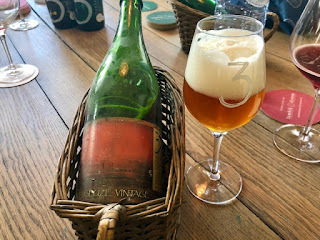 We spent the rest of the afternoon making our way through the extensive bottle list, sharing one delicious lambic after another and enjoying the relaxing county side setting. When evening fell we headed back into Brussels for dinner at Nuetnigenough, one of our favorite spots for traditional Belgium cuisine right in the heart of the city. Nuetnigenough is known for its' rich hearty dishes like Flemish Style Beef Stew and Veal Meatballs in white sauce with thick cut frites cooked in beef tallow. 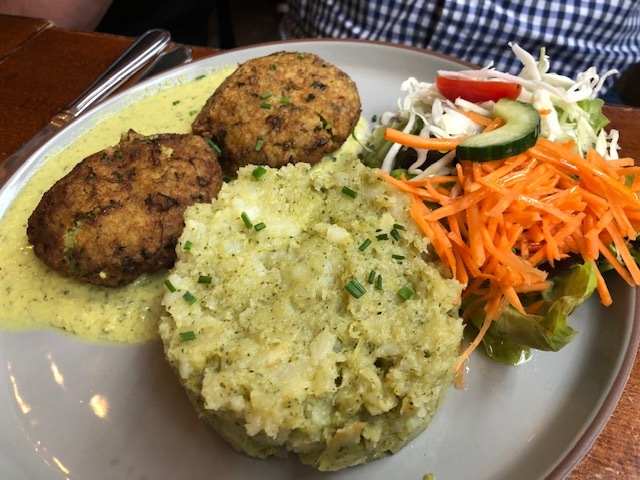 I wouldn't suggest this place to vegetarians but our non-meat friends seem to do okay with the Meek Millets, swamp beans and green curry. 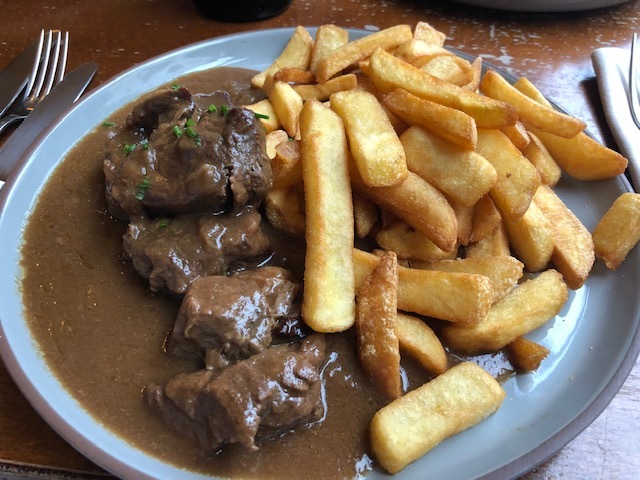 At least it looked a lot better than it sounded on the menu. We were all pretty tired out after dinner and relaxed at an outdoor cafe nearby before heading off to bed. 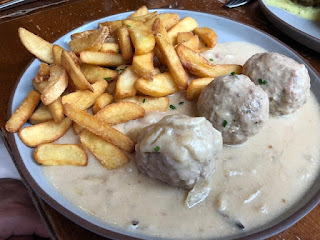 Only one more morning in Brussels left to go and a place I've always wanted to explore, Grote Dorst.